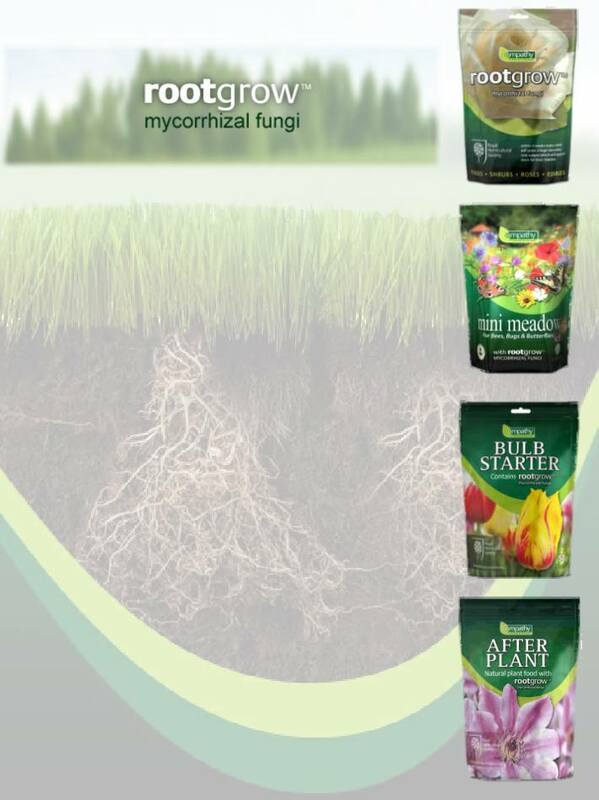 PlantWorks Ltd has been growing UK origin mycorrhizal fungi in Kent for over ten years and has marketed it to the entire UK horticultural industry as Rootgrow. Rootgrow is regularly featured in the press and on television as one of the most important planting aids especially when planting hedging, trees, roses and bulbs. Rootgrow was also the first and currently only planting product to receive the coveted Royal Horticultural Society license and endorsement. PlantWorks over the years has developed the Empathy range of products that either contain mycorrhizal fungi or are designed to work in harmony with these fungi. 'Empathy is about making a choice to garden with minimal use of chemicals whilst maximising plant growth and health. Empathy products are biological, they will benefit your plants not just over a few months but through their lifetime and are designed to treat the soil as well as the plant. Empathy supports the RHS mission of 'Sharing the best in Gardening'. Due to the high quality of the products and their sustainable nature they also have received the RHS license. The Empathy products that contain Rootgrow are Mini Meadow, a wildflower seed mix containing a soil conditioner and mycorrhizal fungi. Supreme Green, a high quality lawn seed mixed with mycorrhizal fungi. Bulb Starter a product designed to increase establishment and rooting of bulbs. After Plant and After Plant for Roses a top dressing natural fertiliser designed to increase soil life and health. PlantWorks also offer a range of Seaweed foliar feeds that are tailored to some of the most important plant groups, All Purpose, Grow Your Own, Lawn Feed and one for Ericaceous plants. It has been shown that using a seaweed applied as a foliar feed actually speeds up colonisation of the mycorrhizal fungi in Rootgrow. All Rootgrow products where possible are UK grown or sourced, made from sustainable resources and offer UK gardeners highly effective products that reduce our need to use artificial fertilisers and pesticides thus enabling us all to garden in a more natural manner that is better for the environment and health of our gardens and soils.